The days are long, but the years fly by…especially during the years of newborns and toddlers. The Hall family’s last photo session took place almost two years ago! After realizing that the most recent portraits they have of their daughter Emery are from when she was only five months old, they knew they were due for another photo shoot. 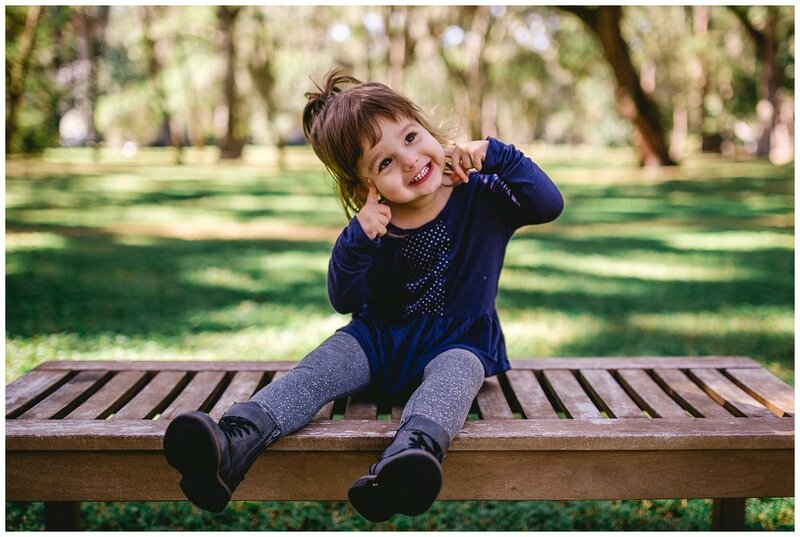 With so many different portraits to take and an energetic toddler, we headed over to Swann Park in Tampa, Florida for a mix-and-match photo session. 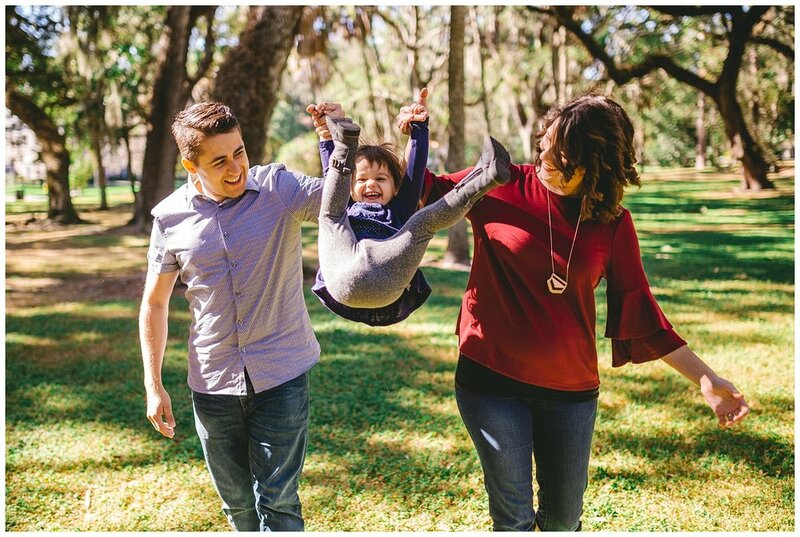 I made sure to get some intimate shots of Mom and Dad, a few silly photos showing off Emery’s adorable personality, and of course plenty of candid family photos! The Halls are such a fun family to shoot—I always enjoy catching up with them. Supposedly, Emery woke up a little cranky, but I sure couldn’t tell because she was hamming it up for Arielle (my amazingly talented assistant) and I in front of the camera. Emery was so cute sitting on the bench wrapping herself in a big hug! Thanks for the shout out, sweet friends! As always, I loved spending time with you guys. Can’t wait for your next little one to arrive!